After nearly three months of an open beta the free-to-play arcade-style basketball game 3on3 Freestyle officially launched today as a PlayStation 4 exclusive. 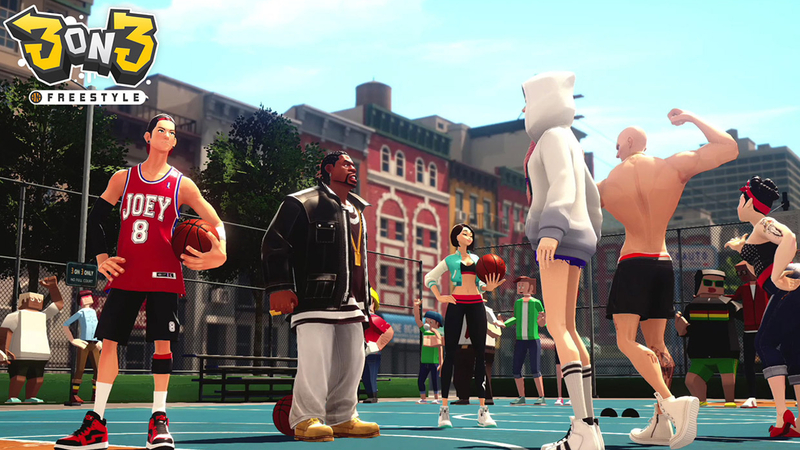 3on3 Freestyle can be queued for download through its PlayStation Store page here. ♦Players: Each character wins points to unlock and upgrade their abilities, which includes dunks, long distance shots, stamina and more. Players must string their unique offensive and defensive skills into combos while keeping an eye on their team members’ capabilities. ♦Time Out: Teams can trigger the “substitution” mode for a limited number of times every game, allowing everyone to change their character. But, watch out, as this also means the other team of three players can pick new characters (or stick to the one they are already playing), adding to the strategic aspect of the game! ♦Couch Gaming: Local co-op online multiplayer option allows three gamers “on the same couch” to challenge players from around the world. It’s the new pizza night! 3on3 Freestyle has a natural reliance on microtransactions to generate revenue given its F2P nature. The in-game currency known as “FreeStyle Points” ranges from $5 all the way up to $50 for a single purchase. The points are used to acquire gear and attribute boosts. Features for the online-based game include character management and progression, 1-vs-1 games, and 3-vs-3 with either online teammates or local teammates. 3on3 Freestyle is a sequel to the PC game Freestyle 2: Street Basketball which released in early 2015.